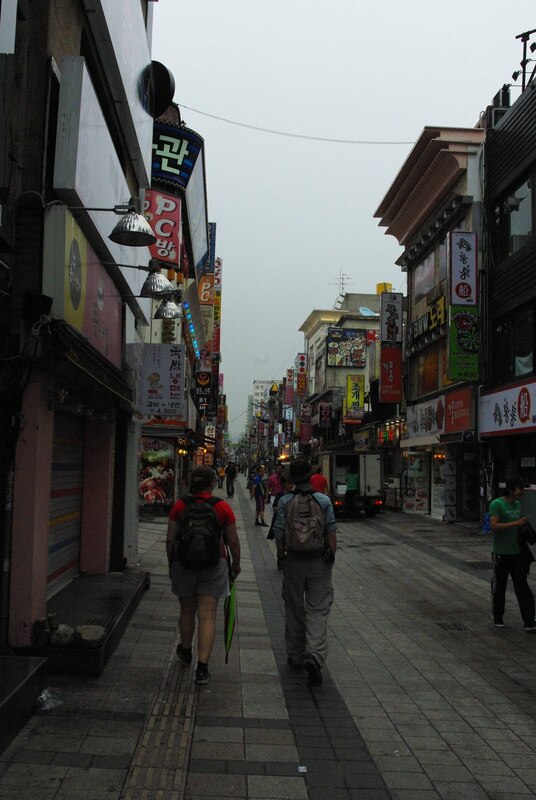 Before we headed to the Korean Folk Village we had a bit of a stroll around the streets near the Suwon train station. 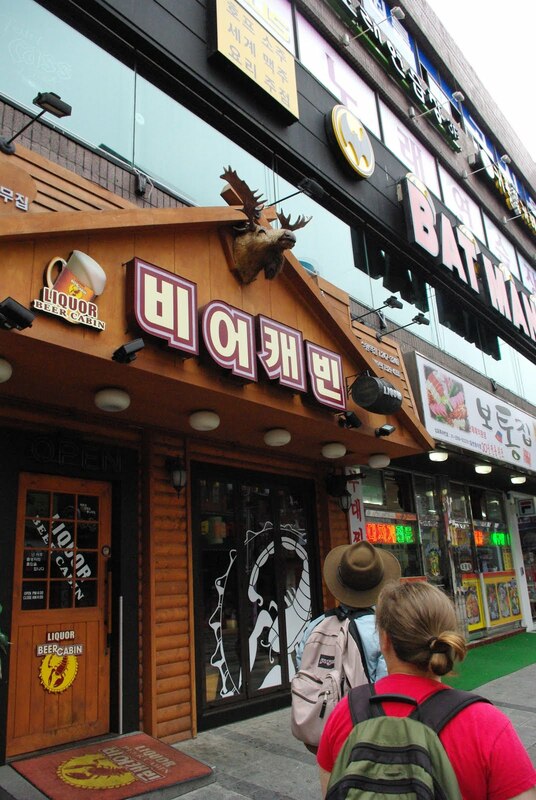 There is a great pedestrian street with lots of interesting shops and restaurants. I loved the jumble of signs! 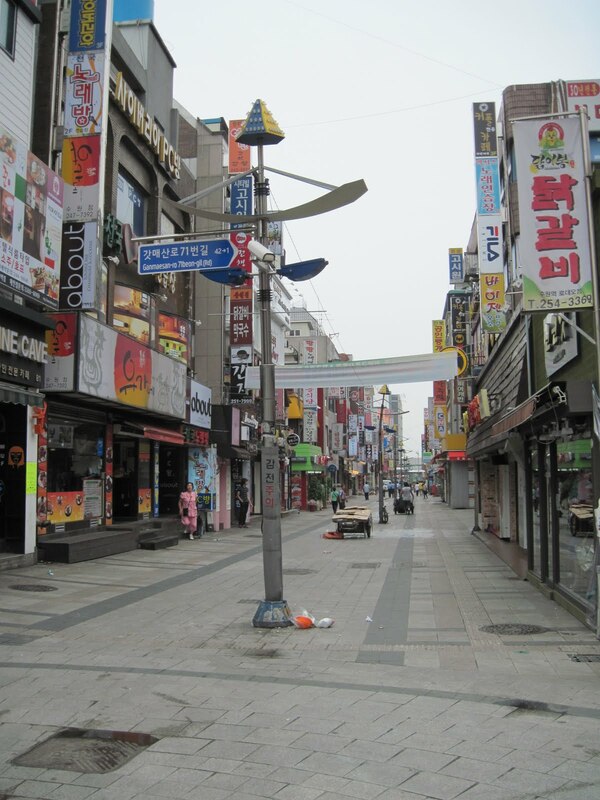 Although it was quiet in the morning, by the time we returned for dinner it was bustling with lots and lots of people. The sign says “bee-eh kae-been” – beer cabin. Moose! Feels like home? For dinner we ate at a Japanese-Korean fusion restaurant and had some very tasty chicken and seafood dishes. As appetizers, however, we got a bowl of interesting looking pine-cone-like things…silkworm larvae! Presumably this is a byproduct of the silk-getting (silking? Seriously, what do you call it?) process. They were cooked, and not squishy but not exactly crunchy. It took me a long time to decide to eat it. They tasted like Zojig’s canned crickets smell. 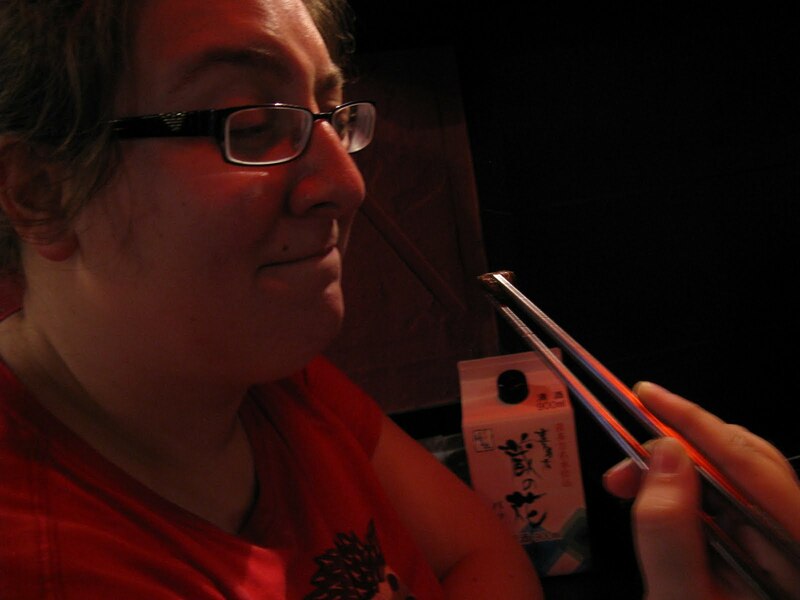 I will probably not partake of the cooked silkworm larvae again. Silkworm larvae are definitely for Zojig! Just can't imagine eating them!